I started collecting records back in 2001 while I was studying in Boston. My foray into electronic music started with bedroom DJing and lasted about 5 years until I got my first residency in a hole in the wall joint in New York City in the East Village. The bar was called “The Sunburnt Cow”. I would play a 6 hour set every Friday from 10 pm till 4am with a percussionist named Frank Bambara and we used to turn this laidback bar into an absolute frenzy. At that time, I used to buy my records from mainly 3 stores. One was Dance Tracks in the East Village in Manhattan. 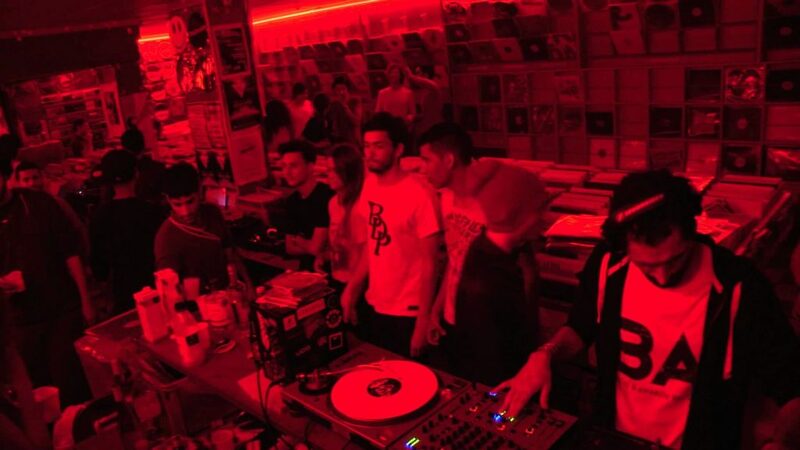 The second store was Swag Records in Croydon just outside London, and the third was Techno Import in Paris. DANCE TRACKS had an amazing collection of Afro House, Latin House, Deep House and basically anything to do with organic sounds mixed in with house music. Their sound mainly consisted of American labels and was totally different from the European stores as the music here was a lot more organic and soulful. SWAG RECORDS located just outside London was the best place for Deep House, Tech House, and Minimal stuff. They had some Techno as well but they were known as the Tech House kings. You had people like Terry Francis (X Fabric Resident) that would hang out there and buy records and other legendary DJs like Grant Dell and Dave Mothersole who even worked at the stores. Lastly, TECHNO IMPORT in Paris was where I bought more of techno records and even some electro when electro was underground. Five years of collecting music from these stores really helped me make an impression in my first read more here residency and I seemed to be have figured out how to source my music until the latter half of 2006, when I discovered Beatport. This was a very confusing time for me, and I am sure for a lot of other people too, as now we had music that was available for a lot cheaper but not on vinyl. Initially I was very hesitant to join the bandwagon but I kept discovering digital only releases that were not available on vinyl and were really good so I did not want to miss out. However before I knew it, in 2 years’ time, I found myself playing only digital music. I remember when I moved back to India in 2007, people were amazed to see me play vinyl but for me this was very normal. However, as trends starting changing I had to stay up to date with the current sounds and as none of these tunes were released on vinyl, from 2008 to 2014 I stopped buying records and got sucked into the digital world. During this period of time I did not visit any record stores but in 2014 I had a bit of an awakening in Berlin where I saw many people still playing on vinyl. This got me inspired to return to Techno Import and revisit their collection. The first thing that struck me was that a lot of these records were not being released digitally and were vinyl only exclusives. The second realization I had was that some of the productions on these vinyl only releases were so detailed and on point that as a listener, I would be losing out big time if I did not figure out a way of getting this music quickly because there were just a few limited copies of each release. It became clear to me that these artists and labels had gone through a much more vigorous process to get their tracks released on vinyl. The labels were a lot more selective about who they were signing as they were paying more money to get these tracks mastered for vinyl, which is more expensive than digital mastering. Also, a lot of these labels had to spend their own money to press 200-300 copies of the record, which again meant that the investment was higher than that of a digital label. I found that due to the above mentioned reasons, the quality of music been released on vinyl was higher than that of most digital labels. In other words, it became absolutely essential that in order to maintain a top-notch collection, I had to also start buying vinyl. I have heard a lot of people speak about the feeling of owning a piece of music and looking at its amazing artwork, but for me it was as simple as not wanting to miss out on all that great music. So I made a promise to myself that I would make it a point to collect new records every year and keep adding to my collection. The next step for me was creating a repertoire of different music for different situations. I had three main categories that I was interested in which were House, Deep/Tech and Techno. The goal was to have enough new records to be able to choose the very best of my collection and fill in three separate vinyl bags with these genres. My previous experience in sourcing vinyl had made me realize that there are certain stores that are really good in certain genres and act almost as specialists in that genre. Even though they have many genres for sale, they usually end up focusing on one genre making it their specialty. So in 2014 when I reconvened my vinyl expedition, my quest led me to explore numerous stores in Europe and I finally shortlisted 3 stores where I was able to find amazing music. 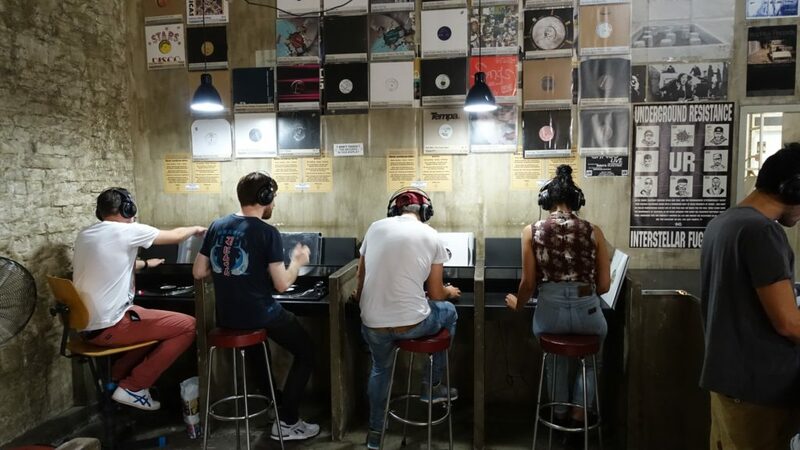 Through this article I want to share these stores and my experiences there so that any of you that are looking to find new sources of music can delve into a brand new world through collecting vinyl. 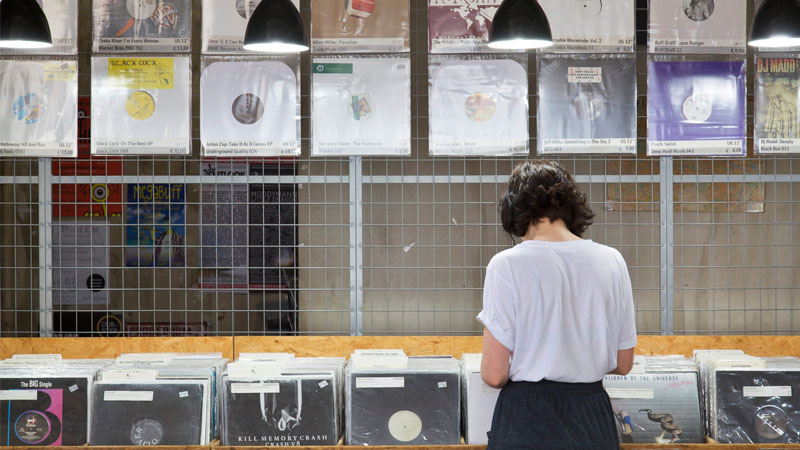 Even if you don’t want to play vinyl, buying music from these stores will help you as you can convert these files to digital formats and get access to exclusive music that is not available in online stores. Located in the Bastille District in Paris, Techno Import is one of my favorite stores for buying records and has been around for ages. Techno Import has a website too where one can listen to music and order it online, but visiting the store is an experience that is a lot more immersive and fruitful. There are many people there buying records and besides listening to your own stack of records, you can keep track of what’s playing on the PA system of the store and if you like the track, you can ask for that record too. I have found so many records this way. People are super friendly and they tell you the names of what they listening to instead of being secretive and dodging around you. The storeowner Maazen has great taste as he is a veteran techno DJ and he makes a selection for customers based on their tastes and preferences. The store has a wide selection of Deep House, Tech/Minimal House and Techno. Even though the name of the store is Techno Import, I found that they had an amazing collection of records in the Tech/Minimal House space. When I made my selection of techno, it took me a long time to find records that I liked, but when I would listen to the tech house and minimal selections, I found great records a lot more easily. They had a lot of old school House records on sale which was cool to see. In addition, they seemed to be specialists in the Detroit Techno genre as well. I don’t know why but for some reason besides Detroit Techno, I was not really blown away by their other techno selections and I struggled to buy some good old house records as well. Nothing soulful or organic here which was new. The old house records were mostly outdated in their sound and that’s why they were on discount. Overall, this store is a must visit and one can hang around for days here. The area around the store is super cool with lots of bars and restaurants so it’s a lively setting if one wants to take a break from listening to music. I found Mitte Musik when I had come to Berlin for the first time to play in Tresor in the year 2013. One of my close friends, Andre Gardega, who owned a well-known record store back in the day as well as a label called Freitzeitglauben Berlin recommended this store to me. I went there and met the owner Gabor who seemed to be a friendly but reserved individual. I don’t know if that was typical of German mannerisms or it was Gabor himself, but I found the store owner a lot colder than hia French counterparts. This was intimidating at first coming from India where everyone is so friendly. But I just wanted to get some good records so I focused my energies on the music and found that he slowly opened up to me. Mitte Musik is a very small store selling a mix of all genres but I found that it had a super Deep/Tech collection. Also, Gabor was open to making some selections for me and once he figured out what I liked, he managed to pull out some great records for me. I tried to search for some harder and more peak time techno records but he explained to me that his store was more specialized in the Deep/Tech House genres. Again I could not find any superb organic house here so I decided that I would find other stores to look for more soulful house and some big room techno. However, one huge advantage of developing a long-term relationship with the store is that if you ever come back a second time to buy records, Gabor will go through what you bought the first time and keep a customized selection ready for you before you even walk into the store. All you have to do is tell him when you are coming and the rest is all taken care off. This saves so much time and you don’t have to go through too many random records without having a specific target in mind. When I went to Berlin for the first time and asked around for good record stores Hard Wax was one of the first names that were mentioned. Funnily enough the first time I went to this store, I was not really impressed as after going through tons of Deep/Tech records, I hardly found anything I liked. I got frustrated and left the store. When I returned to Berlin 2 years later, I could not find good Techno in Mitte Musik so Gabor the store owner told me to go and check out Hard Wax for peak time techno. I remembered my last experience there but right then it struck me that I was probably looking for the wrong type of music at Hard Wax the first time around. So I decided to spend a whole day there from morning to evening and I literally picked hundreds of records to listen. To my amazement I found exactly what was missing in my collection. I found slamming new techno records that were so impressive that they literally blew my head off! I had always struggled to find good Techno music on Beatport and every time I thought of techno, I was always a little disheartened, but this time I had truly discovered a gem of a store. 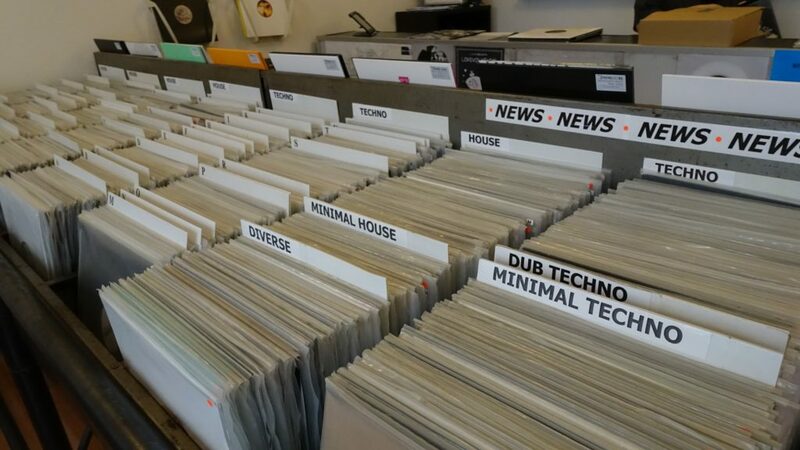 After that day I decided that I would only buy techno records in Berlin in Hard Wax instead of finding mediocre techno in other stores in Europe. Besides finding these techno gems, I also surprisingly found tons of super organic music in this store. I found awesome disco records, and wonderful house-y tunes and all types of world music from across the world. Additionally, they had tons of dub 45-rpm records too. The most unique thing I found about Hard Wax was their systems of labeling the records of all genres according to the emotion of the record. So if the record were a peak time slammer techno record, you would know this even before listening to it. Obviously you may not have liked it but at least it helped you get an idea of what you were about to listen to. This method of labeling was not 100% accurate but it saved a lot of time and helped fine-tune the selection process. I bought so many records that I could not carry them with me so I asked the store to ship them to India and they did so at a very reasonable shipping rate. However when the records came to India I had to pay duty. So basically 15% extra of my totally billing was paid in duty but it honestly did not matter because all the records were collector’s items and as long as they reached my house, I was totally cool with bearing the extra cost.